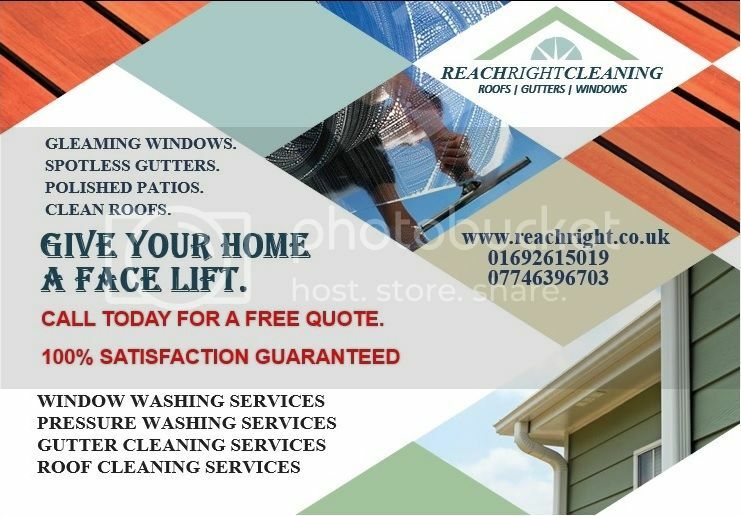 Reach Right Cleaning - North Walsham Guide is created in North Walsham for North Walsham. We are a locally run business that is committed to providing a professional, friendly and reliable service to all our customers in the Norfolk area. No job to big or small, From residential to commercial cleaning, we will do it all and at very competitive prices. ALL OFF OUR SERVICES ARE OFFERED IN THE NORFOLK AREA AT PRESENT. Reviews for "Reach Right Cleaning" by visitors. The views expressed in the reviews for "Reach Right Cleaning" on this page are comments from individuals and so do not necessarily represent the opinions of the website owners.